If you haven’t grasped it yet, everything you write needs to be researched! At first glance, that’s a pretty sweeping statement. Regardless of topic or genre, an idea for a story involves, well, the story. Then come the characters, the locale, behavioral mannerisms…you get the idea. Before you start writing, you must get all those things sorted out, whether in your head or on paper. Brace yourself; that’s research. If you simply sit down and start pounding away, don’t be surprised at what comes out the other end. I’m not saying it is not possible to write something like a good short story in one big creative hit, it is, but to do it properly requires discipline and preparation. Okay, you may have written several short stories to get the hang of it, practiced the basics of writing, mastered the vagaries of grammar, and found your style. Now you want to roll up your sleeves and get stuck into that opus you always wanted to write. Writing a book without adequate preparation is like walking through a minefield. Your first step could be fatal or very debilitating. Having read dozens of books, a cocky writer, his hair on fire, thinks there is nothing to it and dives in – only to find there is no water in that pool. The resulting mess is about as pretty as it sounds. Your research is governed by the topic and target audience of your novel. Is it a drama, a thriller, action, a psychological exploration, a romantic sob? Getting this straight in your mind will set the parameters for your research. First of all, get your facts straight, whether they are historical, contemporary or technical. Twisting known scientific facts is death, as is getting known history or current affairs wrong. You know the old saying: When the gods want to punish us, they grant us our wishes. Well, they must have smiled with glee when they allowed development of the Internet. This single tool is both a boon and a curse to writers. A boon because of the wealth of information available and easily accessible; a curse because not all of it can be trusted to be true or factual. On the Internet, some facts are more factual than others, and you need the same information sourced from a number of articles to determine which is the most factual. If you grab the first one that comes off the search engine, you could be in for some embarrassing times. How do you verify? That’s where the other sources of your information come in, of which a library should be the most reliable. Just because something is in print doesn’t necessarily mean it is true. Again, it all depends on the topic and genre of your book. 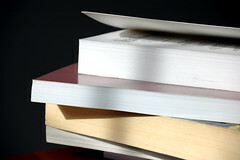 If uncertain, get more than one book or periodical on the subject and compare notes. Don’t use fiction books as sources of data! I am sure you can figure out why. You may be surprised, but doing research, although time consuming, can also be lots of fun and you will learn stuff you never expected. There is another kind of research – information you accumulated over the years simply by being plugged into the social environment we live in, which you may not even be aware you have. Then there are those personal interactions you experienced with people and may want to use in your writing that add texture and density to your book. All good stuff, but how much of what you have accumulated do you want to use? Of course, you will never use everything you have read, it’s impossible. What all that background research will do is soak into your conscious and subconscious, available on tap as you write, and you will not even be aware it’s coming out. Research provides a platform of believability and authority to your writing, which that will come through, giving your readers a warm fuzzy. Right, you have all that information, but how do you make sense of it all? As you gather the printouts, cuttings, whatever, file them in a binder. Have dividers properly labeled so you can identify what you have. There is nothing worse than rummaging through a pile of paper or book looking for an article or reference you know is there, but it’s disappeared, and you cannot remember the URL or book where you found it. The other thing to do as you get articles off the Internet, copy them into a sub-directory on your computer. Once you are properly organized, go through the book outline and dig out the research bits you need for that part of the story. You don’t have to follow this approach, but you should follow some organized pattern that enables you to access the right material when you need it. What comes next? The writing, of course. ~~~~~~~~~~~~Stefan Vucak is an award-winning author of the sci-fi Shadow Gods series of books. His contemporary political thriller Cry of Eagles has won the coveted 2011 Readers Favorite silver medal award. Great points. Thank you for posting. Although nearly 50, i would love a new career as a researcher for authors to call upon. Question is, where to start! I have soo many things in my life i am dealing with and i really want to write books but dont know where to begin .